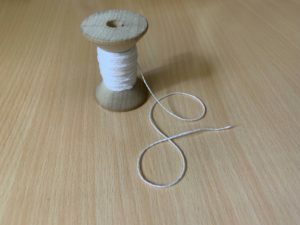 A Spool of Thread and heartfelt words can silence a room and bring some people to tears. That’s what happened in Oakland last month as I presented my magic to a group of some very special people who work with the homeless and the less fortunate in their community. It was a night to give thanks and acknowledge the work they do to make the world a better place. I began by breaking off short lengths of thread as I spoke about the struggles people encounter everyday living on the streets. I ended up holding several strands of thread between my fingertips. You could hear a pin drop in the room. I was speaking from the heart. They understood every word I said because they experience it everyday with the people they come in contact with. You could feel the weight of each sentence as it tugged at their heartstrings. Watch this video to see the routine and hear the message that was recorded in my studio. Magic is not about fooling or tricking people. It’s not “Ha Ha, I gotcha!” No, it’s about creating an emotional connection with the audience. It’s about telling a story or conveying a message. Magic is about touching people’s lives, sharing a part of myself, and creating a sense of wonder. This is when true magic happens.